The Point Loma Ridge rises 400 feet above the Pacific Ocean. 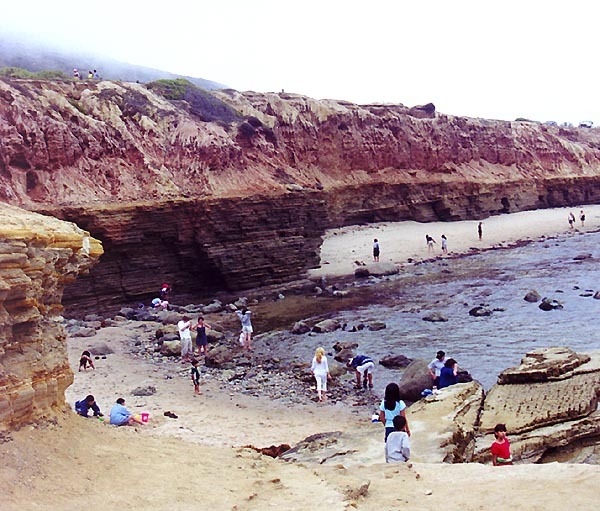 This picture shows the beach with its tide pools, the erosion of the inter-tidal region and the waves' splash zone, and the grassy ridge that rises to the Point Loma summit. 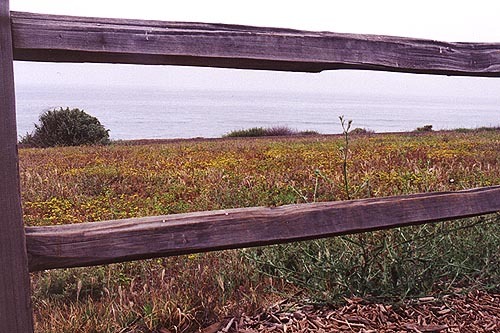 Plants cover the Point Loma ridge. These plants must be hardy to withstand the exposure to the salt water of the Pacific Ocean. 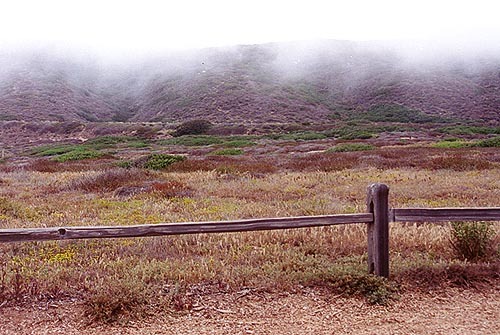 The day ReefNews visited Point Loma, a cold bank of fog covered the ridge. Notice all the beautiful tiny flowers among the plants of this Coastal Sage Habitat.